Sun Plaza is a shopping center in the middle of the central commercial area of the city of Medan , North Sumatra , Indonesia . Finished building erected since starting on January 1, 2003 , the shopping center is in the form of 6-storey building ( including the Lower Ground and Ground Floor ) designed with the concept of family mall . Sun Plaza inaugurated start since opening the public on January 1, 2004 and had visited held by local residents even before the opening. Sun Plaza is a favorite location of young people and foreign tourists because of the convenience and completeness of goods available . Sun Plaza has always been held by a variety of important events from concerts and Cinta Fitri Tambayong Micah and who have previously held in Medan Mall. 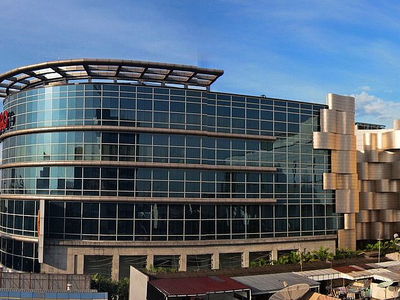 Sun Plaza is built on a land area of ​​more than 29,000 square meters . The total building area is over 87,000 square meters with a total lettable area of ​​more than 62,000 square meters . Here's the our members favorite photos of "Malls in Medan". Upload your photo of Sun Plaza Medan! Keliling Aceh is the only Touristlink member to visit Sun Plaza Medan. Have you been here? Click here to save it.